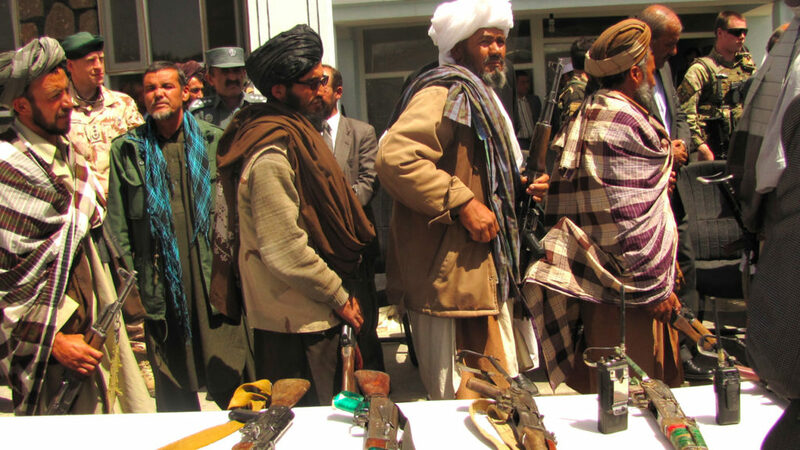 After nearly 18 years of war, the U.S. in peace negotiations with the Afghan Taliban. The talks are actually taking place in Doha. And so the U.S. and the Taliban officially have agreed in principle to a framework, says Zalmay Khalilzad, the chief American negotiator. He says American and Taliban officials had agreed in principle to the outlines of a deal in which the insurgents would guarantee that Afghan territory is never used by the terrorists, setting the stage for a total pullout of American troops. On to talk about this with me today is Vijay Prashad. 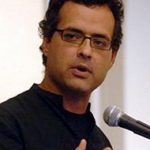 And Vijay Prashad is the director of the TriContinental Institute for Social Research, chief editor of Left Word Books. Good to have you with us. SHARMINI PERIES: All right, Vijay. Now, although everyone agrees that the U.S. troops must leave Afghanistan, including the U.S., many experts, and more importantly Afghan people, are worried about what these negotiations would mean for Afghanistan. Your thoughts on that? VIJAY PRASHAD: Well, the first thing to put into context is that this war has been going on for 18 years. For the last decade or so the average death toll in Afghanistan has been around 10,000 per year. It’s been the situation that the Taliban, which was one of the prime targets of the United States in 2001, now controls about 70 percent of Afghanistan’s land. This is quite significant. It has made major gains outside the territory where it’s considered to be most at home, which is the southern region of Afghanistan, and pockets in the north. So it’s made quite major gains. It’s hemmed in the Afghan government and the 14,000 U.S. troops and about 8,000-9,000 troops from other NATO countries, and so on. So you know, this has been a very difficult war. It has been a war where the price has been paid by the Afghan people. And the Afghans believe that the presence of the United States hasn’t actually helped bring them any closer to peace. The real tragedy, Sharmini, is that the negotiation is going to bring back or normalize the Taliban, bring it back onto the political table. This is precisely what the Taliban was saying to the Americans before this war began, that they would detach themselves from al Qaeda, and want to come back onto the table to discuss politics. So for 18 years the United States prosecuted a war, and they ended up essentially where the Taliban had offered them in 2001. SHARMINI PERIES: All right, Vijay, so Malalai Joya, the author of A Woman Among Warlords, she is still in the country. We interviewed her a couple of months ago. And she says she’s still on the run. She cannot stay for very long in any one place because the Taliban–she’s worried that the Taliban is after her, she’s after her, people that she works with. That people are after her family. So with this kind of fear, any negotiations with the Taliban, she says, is basically putting monsters back in power. How do you respond to that? VIJAY PRASHAD: Well, look, the issue is what choices are available right now. Right now the Taliban is a very strong force on the ground. The government of Ashraf Ghani in Kabul has been weakened by the gains made by the Taliban, and by the casual comments made by the Trump administration about withdrawal. In other words, if the United States withdraws any amount of those 14,000 troops, it’s going to further weaken the government in Kabul. The government of Ashraf Ghani, former World Bank official. And it will strengthen the Taliban. So the Taliban is there. It is an actor. It has a very important regional backer in Pakistan. And you know, it’s very unlikely that any peace negotiation would be possible without the Taliban. So I think it’s not really credible to think that the Taliban cannot be at the table. The issue is what are they bringing to the table? And here I think it’s important that we don’t allow the Trump administration to say that they negotiated through Zalmay Khalilzad, Mr. Trump’s envoy to Afghanistan, a major breakthrough. Here the real issue is that Pakistan has been under pressure from China to bring stability back into Afghanistan, because an unstable Afghanistan puts in serious doubt the Chinese plan for their Belt and Road Initiative that stretches from Turkey into the heart of China. So this is really a lot of pressure from the Chinese on the Pakistanis. The Pakistanis in turn have been pushing the Afghans to take the American overtures seriously. So this is a discussion basically taking place to bring some normality to Afghanistan, but certainly not a normality which includes social justice and peace for the Afghan people. SHARMINI PERIES: Now, Vijay, in recent months we’ve seen some intense attacks by the Taliban on local troops which are allied with the U.S. And now, the Taliban is well armed. You know, it has weapons and vehicles and armor that they have stolen or the U.S. has abandoned that they have now repossessed. So this is a pretty intense situation. Why are they carrying out these attacks meanwhile negotiating at the table? VIJAY PRASHAD: Well, this is how all negotiations take place. They want to negotiate from strength. They are attacking in order to increase their bargaining position, to make sure that they don’t get sidelined at the table. You know, I want to return very quickly to this regional issue. Because Afghanistan, very sadly, for decades, much more than this 18-year war, has been caught in the midst of both the regional cold war and the global cold war. The regional cold war is quite significant. The government of Mr. Ashraf Ghani is backed by the Indian government, whereas the Taliban is largely backed by the Pakistanis. And they’ve taken–that is, India and Pakistan–have taken their own animosities, their own problems, into Afghanistan. Pakistan is very wary of allowing an Indian-backed government, a pro-Indian government, on its border to the north, because then it would be in a sense surrounded by both India and an Indian-backed government. You’ve got to understand that there are enormous regional tensions that get reflected in Afghanistan. This is not merely an Afghan problem, which is why I think having this peace deal between the United States and the Taliban, bringing in Mr. Ashraf Ghani second, without having India, Pakistan, China, and Russia at the table, as well as Iran, this is not a serious way forward. You know, you need a regional conference on Afghanistan with all these actors brought to the same table with some seriousness about bringing a just peace to Afghanistan. Just talking to the Taliban is merely going to embolden them politically without settling the broader regional political dilemma in Afghanistan. SHARMINI PERIES: In that regard, Vijay, is China and India and others, like Iran, as you mentioned, willing to come to the table to have this discussion? VIJAY PRASHAD: Well, it’s interesting, because when the United States government initially said to the Taliban, let’s meet in Islamabad, the Taliban was not interested in that. I mean, they want to keep, perhaps, some distance from Pakistan. The government of Mr. Imran Khan in Pakistan is playing a very delicate game with the Taliban in Afghanistan, and then a very threatening force, which is the Pakistani Taliban, which has been attacking inside Pakistan itself. So there is no table set for these various actors to come together. The negotiations between India and Pakistan about Kashmir are at a standstill. You know, tensions continue to exist between China and India. I mean, what I’m trying to lay out for you is that the question of Afghanistan is far more than the United States and the Taliban, which is how it’s going to be reported, I think, in the Western media. But there are much, much deeper and serious problems for Afghanistan, which will require, you know, I think, some diplomacy doesn’t include the United States. And unfortunately, Sharmini, that is not happening at the present time. SHARMINI PERIES: Now, a regional solution, as you speak of, Vijay, many people have suggested that. Who are some of the people in that world that we should be aware of, in terms of who could bring about peace, real peace, in the region? VIJAY PRASHAD: Well, interestingly, in the 1990s, when the Taliban first came on the scene, the Taliban takes power in Afghanistan in 1996, the Chinese government at the time developed a kind of a table where they brought regional actors. That was called the Shanghai Cooperative Organization, the SCO. And the SCO begin meeting around the question of Afghanistan. Central Asian countries were worried about the spread not only of Afghanistan, of the Taliban itself, but Taliban-like entities of al Qaeda in the region, and so on. So in a sense we have to understand that the Chinese at that time, through the Shanghai Cooperative Organization that started the process–the SCO still exists. Pakistan and India belong to it. There is a wide range of countries in the region that participate in the SCO. So I think that this is one place, perhaps, for this conversation to go forward. But it’s not enough. I mean, here I think we see the lack in the United Nations of its independence from the West, and from the United States in particular. You know, the United Nations needed to set that table for the discussion to bring regional actors, take independent leadership in Afghanistan. We haven’t seen that kind of independent political leadership from the United Nations. It continues to deal with the United States and NATO when it comes to Afghan policy. 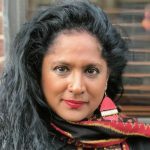 SHARMINI PERIES: All right, Vijay, if the UN is the only body that you think can take up a regional solution to what’s going on, which institution within the UN can take this up? VIJAY PRASHAD: Well, I mean, I would like to see the G77, which is the negotiating branch of the Non-Aligned Movement table some kind of motion in the General Assembly to call for the UN to lead regional dialogue. I’d like the Department of Political Affairs and the UN secretariat to demonstrate some independence and create some sort of formula to bring the various regional bodies to the table. I mean, it’s the most credible kind of path forward. But of course since the UN has very little independence from the United States and the West, it’s unlikely to do that. And that’s a problem. You know, we need an independent United Nations. Without an independent United Nations we’re not able to have alternative dialogues about peace and security. You know, right now our discussions about peace and security are basically framed by what is in the interest of the United States. And since Trump and his administration has decided to roll back the troops in Afghanistan, nothing else really matters. You know, Mr. Zalmay Khalilzad, who was once the U.S. ambassador to Kabul, was essentially sent with a brief to make sure that the United States could roll back troops. This is not a good way to start the peace negotiation which has a regional foundation. It’s an American-based approach, not a world approach, not a regional approach. For that reason you really need an independent United Nations. SHARMINI PERIES: All right, Vijay. We’ll leave it there for now. I thank you so much for joining us.